Other people want this. 17 people have this in their carts right now. 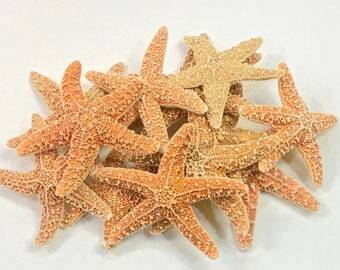 These charming natural Sugar Starfish make a special hair accessory. Perfect for a day at the beach or an evening out. These real Starfish are securely adhered to a special bobby pin with a flat pad. We attach the pin in such a way so it is as hidden as possible. Choose 2"-3" or 3"-4" or one of each size. Choose either black, silver or bronze pins. Beautiful pieces and very quick delivery! Super cute and quick shipping! Beach Wedding Starfish Boutonniere with Ribbon - 24 Color Choices - Starfish Lapel Pin 2.5"-3"